MINT Gym + Nutrition | What Is Ketosis & Why Is It Good? What Is Ketosis & Why Is It Good? One of the reasons so many people struggle with their weight (aside from eating processed foods that have been highly altered from their natural state) is because we are eating for many more hours of the day. We are also continually eating throughout the day, not giving our body a rest from digesting the food we keep putting into our mouth, and not using our stored fat as fuel. With our current eating style, our bodies have adapted to burning sugar as its primary fuel, which dysregulates the hormones that utilize and burn stored fat (Insulin being one of them). 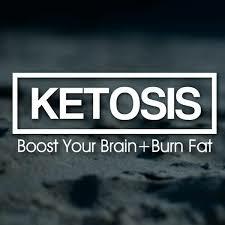 Being in Ketosis is an excellent way to “reboot” your metabolism so your body can start burning fat as its primary fuel, which can help you shed your excess fat stores. Ketosis is a metabolic state in which fat provides most of the fuel for the body. It involves the body producing ketones from the breakdown of fat and using them for energy instead of carbs. To be able to be in Ketosis, carbohydrate intake needs to be restricted. Ketosis is still about eating whole food, but getting the ratio of Fats, Protein, and Carbs correct. The meals can still be delicious, so you don’t feel as though you are being deprived of your favourite foods! You will notice many health benefits from being in Ketosis, with one of the most important balancing your blood sugar and insulin levels. This helps to reduce those sugar high and lows that cause you to become so hungry that you grab anything to eat without thinking – normally a sugar loaded treat – then the cycle begins again. Low blood sugar – high blood sugar – low blood sugar – eat that sugar!